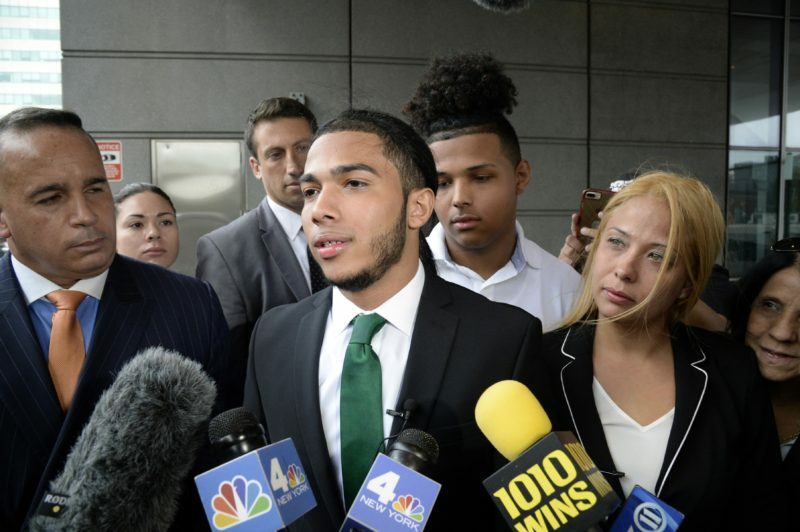 In Conviction, reporter and host Saki Knafo explores big questions about New York City’s broken criminal justice system as he follows the developing case of Pedro Hernandez, one of roughly 300,000 people arrested there each year. As a teenager, Hernandez was picked up as a suspect in a Bronx shooting and jailed on Rikers Island. He remained there for over a year, awaiting trial, as his family, unable to pay $250,000 in bail, struggled to prove his innocence. Thanks to New York State’s blindfold law, Hernandez was under increasing pressure to accept a plea — with barely a shred of information about what evidence the prosecution might have against him. Hernandez’s case ultimately earned the attention of civil rights activists as an egregious example of police malfeasance and the failings of the American justice system. 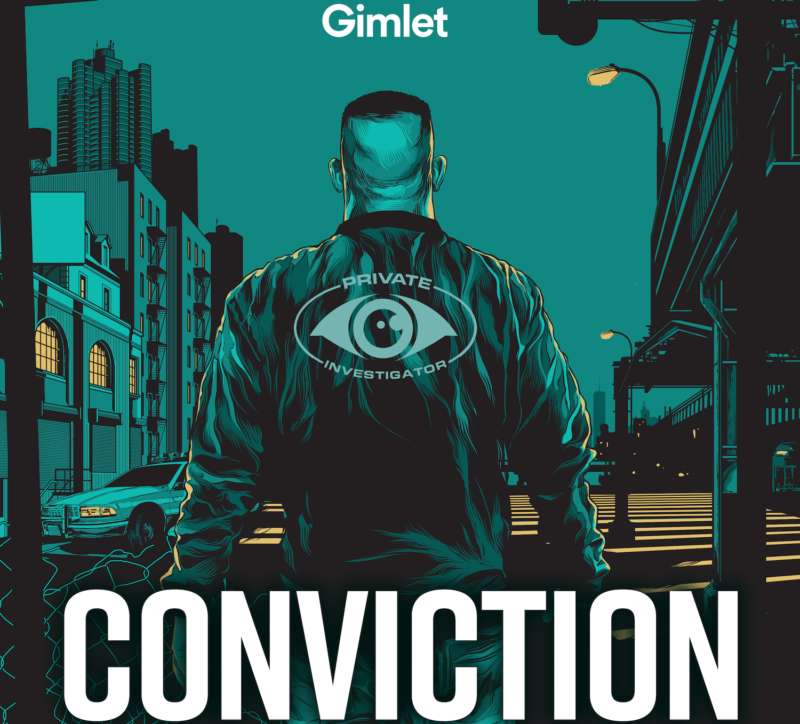 As the story unfolds, we are introduced to two complex men: private investigator Manny Gomez, a former police officer, and New York Police Department detective David Terrell, each of whom claim to be protecting the innocent and pursuing justice. Read more about Gomez, Hernandez, and the Bronx’s 42nd precinct. Gomez is a PI ripped from Hollywood: he carries a pen that doubles as a knife, wears a watch with a hidden camera, and reads The Art of War on stakeouts. He says his mission is to take on the establishment and be a champion for those who need it most: families from tough neighborhoods who face harassment, discrimination, and violence at the hands of the NYPD. But Gomez has another motive — revenge on the police department, his former employer. Terrell is an aggressive cop who made hundreds of arrests in a high-crime precinct of the Bronx. He made a name for himself on the force, but he also racked up more civilian complaints than almost any other officer in the largest police force in America. Some alleged that Terrell himself was breaking the law, arresting people for crimes they didn’t commit. Watch Saki Knafo talk about “Conviction” on PBS’s Metrofocus. As Knafo searches for the truth about Terrell and Gomez, he unearths unpleasant realities about the justice system they work within. The story asks fundamental questions about crime and punishment in America: In a city where only one in 500 defendants make it to a trial, how often is justice served? In neighborhoods where people don’t have the money or power to hold the government accountable, who can they turn to for help? And at what cost? Conviction was produced in partnership with Type Investigations.